New Year, More Photos: Habits for Managing Your Images Starting Now! 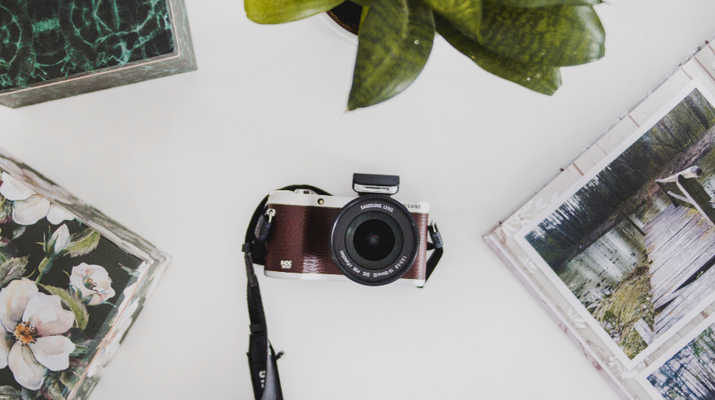 Did you know it has been estimated that 1.2 trillion images were taken in 2017? How many of those images are filling up your phone or tablet and are spread across your social media accounts? Have you avoided thinking about the vast number of images you have stored and told yourself that it is all backed up on the cloud? If you have, then today is the day to stop this charade. If you can juggle families and businesses, then you can care for your photos using the following simple steps. Step 2: Make a Date! Create a standing, once a month appointment in your calendar to organize your photos. If you can find time to collect the trash in your house and get it to the curb every week in time for pick-up, perhaps you can make time to organize your photos once a month. During your appointment, download all the images off your SD card or mobile device and store them in your photo hub (whether that is a photo library run by an app or folder). Don’t forget to scour your texts and emails for images people have sent you. If you share images on social media that are not located on your phone, download the images you want to keep. At your once a month appointment, go through your photos and delete all the blurry, bad angle, unflattering photos. This includes the photos of people you don’t know, the photos you took to get an opinion from your friend, etc. You should only be keeping the best of the best. Also, if you use your camera like a scanner, put those images in a separate folder to go through later. This is also something you can get into the habit doing when you are waiting in doctor’s office, for your kid to get out of school, or waiting for the oil to get changed in your car. There are multiple apps out there for both Mac and PC computers, etc. that can find duplicates within your photos. If you’ve been keeping an original image and alternate versions of it, you will want to decide what image to keep. Don’t know which is the original? It is usually the larger file. Step 5: Back it all up! Use either an external hard drive or cloud service to automatically backup your computer where your photo hub resides. Remember that your photo hub is your curated collection and according to best practices, you should have a copy of this photo collection in more than one area. While you are at it set up your mobile device to automatically backup images to a cloud account. Google Photos, Flickr, Amazon Prime Photos, Apple Cloud and Microsoft OneDrive are just a few apps that offer automatic backup of your digital images. Just keep in mind to check for cloud storage limits and if they compress your files (for example, Google Photos will store your images at 300 dpi). A best practice for you is to take the time now to put the date and description of the image into the file name. That way important information stays with the photo even if the file’s metadata is lost sometime in the future. Also tag any photos now that you want to include in the annual Holiday Card, family calendar, or other photo project you may be working on. Although many of the image libraries out there have great facial recognition, wouldn’t it be great if you could find the perfect one you tagged quickly? As you develop your photo organizing habit each month, you will find that the elimination process gets easier and you will become more grateful for all the time you will save retrieving a photo when you need it.